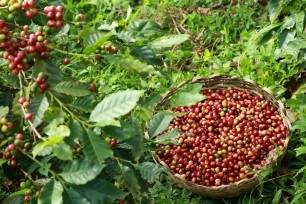 Poabs Organic Estates, also known as Seethargundu Estate, is situated in the Nelliyampathy Hills in Chittur taluk, Palakkad District of Kerala state in India.The estate, initially planted with arabica coffee with inter-crops of cardamom, has come to be known as ‘Seethargundu’, the name being associated with the epic story of Ramayana; “SEETHADEVI lived here with Sreeraman during the Vanavasa period (Exile Period)”. The estate has variously been called “Seethagundy”, “Seethagandy”, “Sethangandy”, “Sitakundu”, as often happens with local names. The estate is at an average elevation of 3,500 feet, and is considered the largest, perennial multi-crop organic plantation in India growing tea and coffee, both arabica and robusta, with inter-crops of pepper, orange, and cardamom. 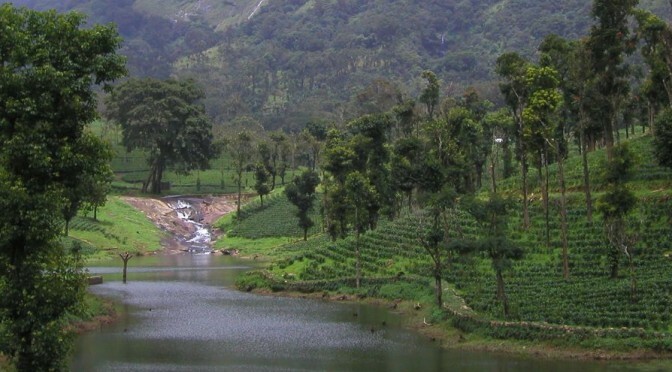 Nelliyampathy, with vast areas of protected forests, enjoys ideal weather and climatic conditions, making the area eminently suitable for the development of plantation crops. 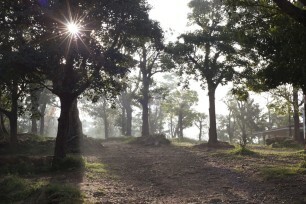 Nelliyampathy is a dedicated planting district, with land use being exclusively agricultural. The Nelliyampathy Hills are part of the majestic Sahyadri, the mountain range running all along the west coast of India over a length of 1600 km and known to the world as the Western Ghats. The Sahyadri is one of the 28 hotspots in the world recognized by the International Union for Conservation of Nature (IUCN) for its rich biodiversity. The Sahyadri occupies about 5 per cent of India’s land mass, harbours 27 per cent of the country’s plant species, with more than 40 per cent being endemic to the region. The Nelliyampathy range, with picturesque mountains and fertile valleys, is interspersed with tea, coffee, cardamom, orange, pepper and vanilla plantations, which, over the past 150 years, have integrated into the mountain ecosystem. Nelliyampathy is about 65 km from Palakkad, adjoining the Parambikulam Wild Life sanctuary where leopards, elephants, bison and deer are in plenty. The height of the hills ranges from 467 meters to 1572 meters. The annual average rainfall in this area is around 4000 mm. and temperature varies between 15⁰ C in December and 30⁰ C in April, the mean temperature being 22⁰ C. The Pothundy Reservoir glints in the distance like “Sapphire in Sea of Emerald”. The soil is laterite in nature, rich in humus and suitable for plantation crops. Seethargundu Estate hosts a scenic view-point offering a fantastic view of the valley below. It is open to the publicand from this location from where one can get a wide-angle panoramic view of about one-third of Palghat (Palakkad) town. On one side of the Poabs plantation, the Raja’s cliff forms a natural boundary and on a clear day, you can see the plains and the town of Palakkad. On other sides, and in the upper reaches, the estate shares a fence with reserve forests rich in biodiversity. Kerala state, known as “God’s Own Country”, is a tropical paradise famous for its enchanting backwaters, lush green hills, ayurvedic systems, and cultural heritage, and attracts ecotourists from around the world. Through sustainable agriculture, Poabs Organic Estates makes a positive contribution to the ecosystem.